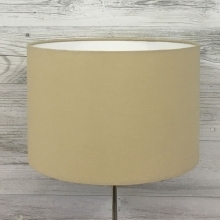 Bring a bright and natural look into your interior with this modern drum table lampshade in cream cotton. 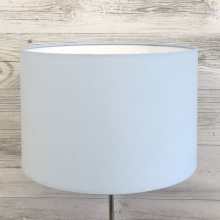 A simple but effective handmade lampshade finished off with a hand rolled edge complimenting the shade. 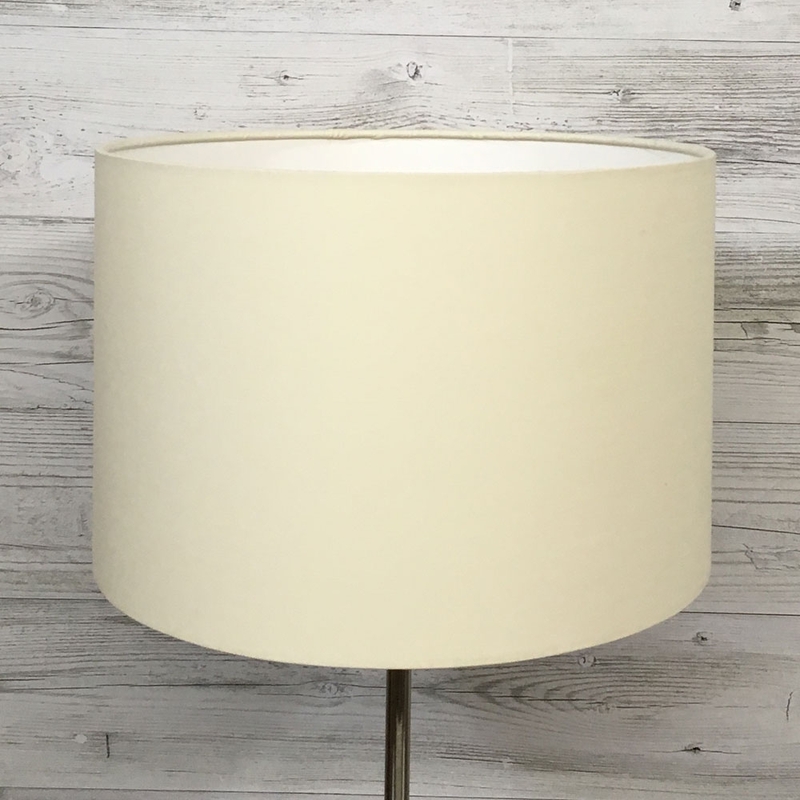 Lined in white PVC this lamp shade will be suitable for either table or floor lamps. Size: 10" 12" 14" 16" 18" 20" 22" 24" 28" 32" 6" 8"